Test prep is the most effective investment you can make in your future. At 206 Tutoring, we help you use the SAT and ACT to score scholarships and gain admission to the college of your dreams. Our individualized methods ensure that instruction time is used efficiently. Students are fully engaged with the topic during lessons, and can practice productively in between. Chris scored 2370 out of 2400 on the SAT, and 339 out of 340 on the GRE. 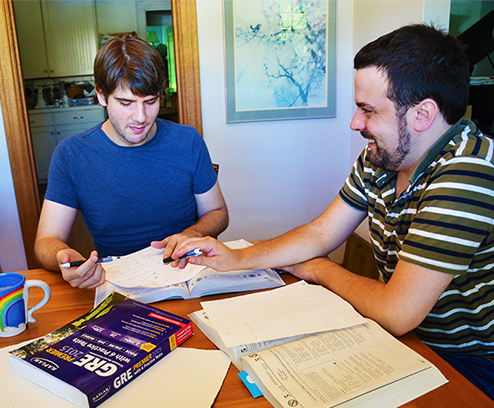 All of our instructors have scored at least 2100 on the SAT, 31 on the ACT, and 330 on the GRE. Our secret is using the test to defeat the test—clues to the right answers are everywhere. Once students learn to use all the information on a test to their advantage, a little outside study time is often enough to reach their target score. 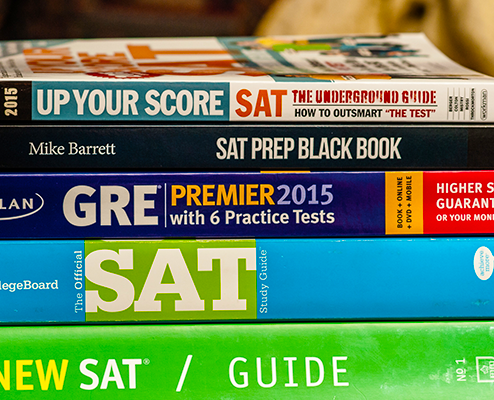 We recommend the SAT over the ACT for natural test-takers. No matter your goals or initial score, we can raise it by 200 points or more. 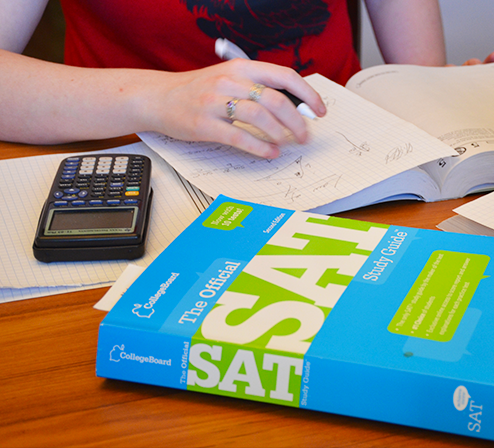 The SAT consists of three multiple-choice sections (math, reading, and writing), along with a free-response essay. 206 Tutoring is on the cutting edge of the New SAT, collaborating with other agencies to develop original strategies you won’t find elsewhere. Reading, which tests vocabulary and reading comprehension through short passages, is the section where our improvements are most exceptional. The new SAT will feature graphs and charts alongside the passages, but the overall strategy will remain similar. Math, which has multiple-choice and free-response “grid-in” problems, can be conquered with test-prep strategies and reviewing the material. The new SAT will cover more material, but the section will still be based heavily on word problems. Writing, which asks students to correct sentences and find grammatical errors, is the easiest section to study for. The new SAT will present the same type of question within longer passages we can happily skip. The essay is a source of frustration to most test-takers, but not ours! We recommend the ACT over the SAT for fast thinkers and math wizards. Our methods can raise any student's score by 4 points or more. The ACT is more straightforward than the SAT, but its time constraints are difficult and can result in surprise, stress and poor scores the first time around. 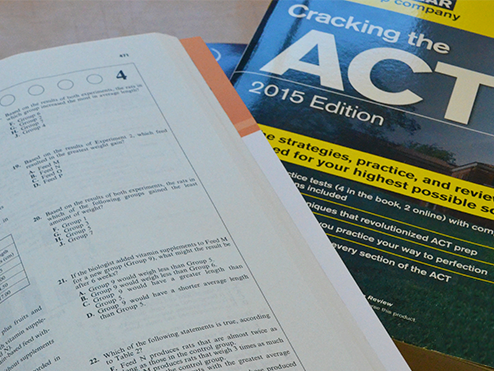 Our ACT preparation focuses on answering questions efficiently. English consists of five passages of fifteen questions each, with an emphasis on grammar and sentence correction. Math covers more concepts than SAT math, all the way through trigonometry, which means it’s easier—as long as you know math. Reading contains four passages (prose fiction, humanities, social science, and natural science) with ten questions each. Science tests the ability to interpret lab reports and graphs. It is similar to the reading section and necessitates no outside knowledge of science. 206 Tutoring’s college counseling services offer pragmatic and decisive solutions to an increasingly competitive process. 206 Tutoring offers prep services for a number of other standardized tests, where we apply the same individualized and context- and strategy-oriented methods we use for the SAT and ACT. Our GRE students have a 100-percent track record of gaining admission to the program of their first or second choice, and have improved their scores by an average of 7 points. Our Compass students have bypassed scores of introductory courses, saving thousands of dollars each. We also have experience with the West-B, ISEE, SSAT, GMAT, TOEFL, and any other test on demand.